The number of visitors to the great islands of Hawaii has increased every year since 1990 and in 2017, close to 9 million plane tickets have been purchased with seats to one of the eight Hawaiian islands. Renovations to hotels and attractions as well as upkeep of natural resources has assisted the trend, and it doesn’t look as though rates will slow anytime soon. 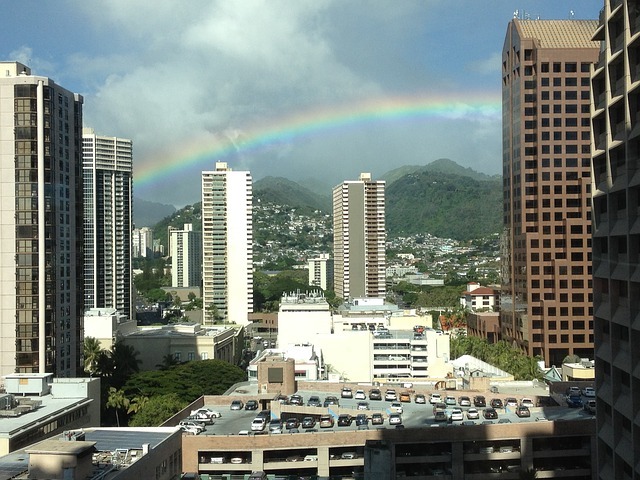 The City of Honolulu, Hawaii’s capital, is located on the island of O’ahu, Hawaii’s largest island. It’s also Hawaii’s largest city. Due to a rain shadow effect, the city enjoys a mostly dry, warm summer punctuated by rare hot days (over 90 degrees Fahrenheit). 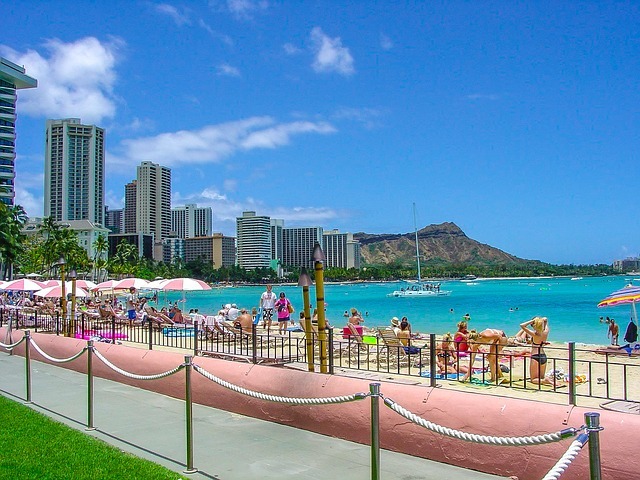 There are over 100 beaches that surround the city and form into a ring shape, which makes sense for a city with a name that means, ‘sheltered bay.’ Honolulu is also home to the largest concentration of Buddhist temples in the West, and there are approximately 30 of them to explore. When you book a ticket to Honolulu, you’ll fly into the Daniel K. Inouye International Airport (HNL), located at the western end of the CDP. When you book travel, be sure to choose your lodging wisely and as close as possible to the main area you wish to explore. Honolulu traffic has an infamous reputation, and Honolulu has been ranked as having the nation’s worst traffic congestion, beating former record holder Los Angeles. Drivers waste on average over 58 hours per year on congested roadways. In order to make the most of your time on the island, it’s wise to use alternative methods of transportation, such as bikes, for general exploration. There are plenty of things to do in Honolulu, but for the traveler who lives to explore sites shrouded in mystery, check out the following to pique your interest in the weird and unexplored. Travel inland to the Nu’uanu Valley on Oahu to find the lasting remnants of King Kamehameha III’s palace, Kaniakapupu. Kaniakapupu can be found at the end of a light trek that diverts from the better-known Lulumahu Hiking Trail. The path to the palace starts from a trailhead that is marked only by a narrow gap in a roadside stand of bamboo. Bear in mind that these are the remains of a royal residence and thus kapu (forbidden/holy/sacred/etc. ), so treat the site with reverence, because King Kamehemeha may be watching over you. If you’d rather keep some distance between yourself and the spooky side of things but perhaps want to tantalize your senses with some historic artwork, visit the pristine Shangri La Museum of Islamic Art, Culture, and Design, which houses philanthropist Doris Duke’s official collection of Islamic Art. The island is full of opportunities to enjoy the gorgeous natural landscape for free. 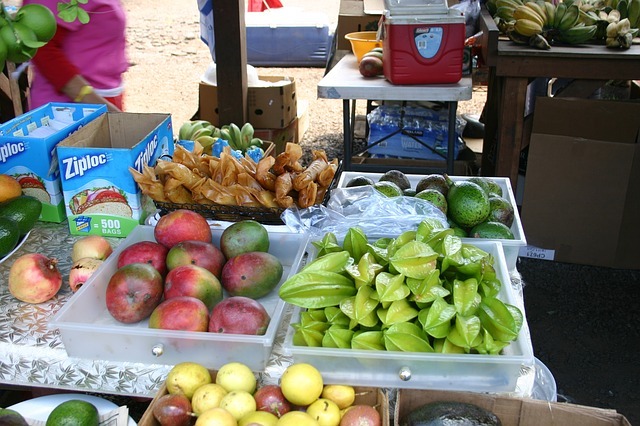 Spend your Saturday afternoon walking among the many fruit stands and vendors at Kapi’olani Community College, or avoid the crowds by hitting the Neal Blaisdell Center on a Wednesday. You’ll be remiss if you miss out on at least one night spent walking the beach at sunset. 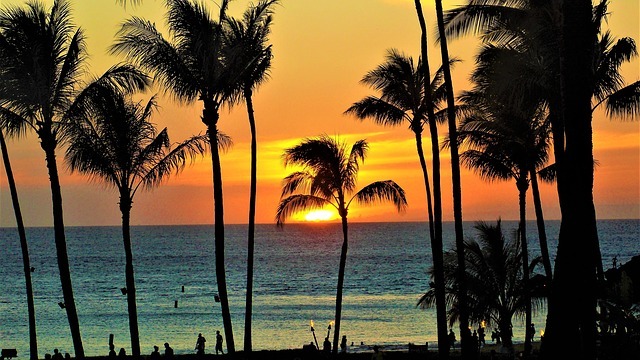 Try Ala Moana Beach Park or Waikiki beach as the sun goes down to save your skin from harmful rays and nab a front row seat to nature’s most incredible light show. There are also plenty of restaurants who host live music and for the price of some delicious local fare. Try Kani Ka Pila Grille or Duke’s Waikiki, where they have a full event calendar filled with local favorites. The Mount Tantalus drive is a great way to take in nature without hiking (though that option is available), which makes the scenic views accessible to groups with varying activity restrictions. Drive through a tunnel of tropical trees and lush island foliage as you climb in altitude. Along the road, there are various lookouts like Pu’u ‘Ualaka’a State Wayside park, where you’ll have the opportunity to take in the windswept panoramic views of Diamond Head and Pearl Harbor. Take a hike inside of a waterfall along the udd trail (aka Jackass Ginger) or Lulumahu Falls. Both hikes are muddy and invigorating, and packed with wildlife. This includes bugs so don’t forget your bug spray. If after the hike you still feel like exploring, drive about 45 minutes out to a zen paradise. The Byodo-In temple in the Valley of the Temples Memorial Park in Kaneohe is stunning, with beautifully-kept grounds, and a striking backdrop against the Koolah mountains. It’s absolutely worth the trip. For the adventurous filmophiles out there, take a journey to Kualoh Ranch, where a number of high-ticket movies such as 50 First Dates, Jurassic Park, Soul Surfer, Along Came Polly, The Hunger Games, Godzilla, and George of the Jungle have been filmed. The ranch guides visitors along ATV tours, boat excursions, and ziplining adventures, so you’ll be able to get your thrill on while you stare into the jungle, peering for movie stars and director’s chairs.